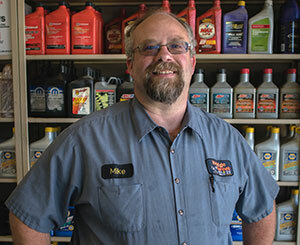 Here's what local business owners say about the SBM program. As with most things, the people make the difference. The Advisors at the SBDC are tireless and very knowledgeable about running successful businesses. No question goes unanswered. The classroom sessions are structured to meet the general needs of the wide variety of business owners, while the ‘one-on-one’ sessions have been directed to our very specific issues with the day to day operations of our company. 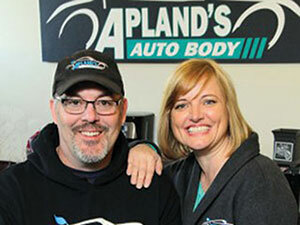 The SBDC has been good for Apland’s Auto Body as a company. The advisors have helped us improve our leadership skills and develop employees with new approaches for creating a great work environment for our team members. Our advisors collaborated with us on several ideas to continue growing our business. We have thoroughly enjoyed our time spent with the SBM program both the group and individual counseling sessions. We began the class right after we had been in business for the first year. There were many things that we had not ever thought about or considered. We were able to implement a few of the things suggested while more than doubling our total sales. We look forward to participating in SBM again in the future and maintaining the ongoing relationship with the SBDC. The SBM class and instructors were priceless. I am a new business and attending this class was the best education I could have participated in. They gave valuable information on so may aspects of business that can be used in almost any type of business. I have been able to utilize so many of the tools I learned from the classes and the one on one coaching was truly helpful. I enjoyed the camaraderie of attending class with other local small business owners as we have been able to help each other outside of class. I would recommend the SBM program to any business owner. What a blessing to have this program in our little community! I have had a lot of industry training from an out of state agency using online, phone and traveling to the east coast for hands on education. When I checked on the RCC Small Business Management class, I was blown away by the level of experience and credentials the instructors have. They challenge me in my business to make me a better employer, provide better service and provide for my family. I appreciate the training and the SBDC services being a far more cost-effective option here locally. Following careers with the U.S. Department of Justice in Kosovo, helping the country develop police services, Julie and Jeff Thomas started a private security company in Grants Pass. Concierge Home and Business Watch, which launched in 2009, employs more than 30 people, all with police, military or security backgrounds. The company serves more than 500 residential customers and more than 100 commercial clients throughout Josephine and Jackson counties. Before launching the security service, Julie and Jeff took the SBDC’s Small Business Management class. The class allowed them to do a financial analysis of their business and establish guidelines for service expansion. SBDC advisors helped Julie and Jeff write a business plan and develop a marketing strategy. They also assisted the entrepreneurs in obtaining a $25,000 stimulus funds grant from Josephine County. Concierge Home and Business Watch has received the Small Business of the Year Award from the Grants Pass & Josephine County Chamber of Commerce and a Patriot Award from the Oregon National Guard. 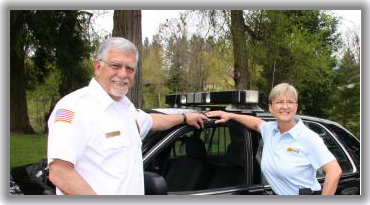 Jeff and Julie now own and operate the largest privately owned security firm in Southern Oregon. Having run Fort Vannoy Farms since 1923, the Crouse family knows agriculture. But when Bob Crouse needed funding in 2012 to develop 200 acres of newly leased farm land, the SBDC helped him acquire a loan. Fort Vannoy Farms began as a dairy operation. But after Bob took over the farm in 1962, he shifted to crop production. The farm now grows vegetables, berries, sweet corn and gourds. Many of the farm’s crops are organically grown. To further diversify the family business, Bob added large pumpkin crops and expanded the corn fields. 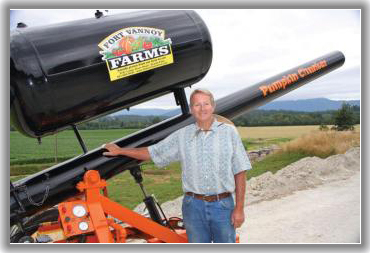 The farm hosts Pumpkin Cannon and Pumpkin Chunker events in the fall. Visitors are also invited to get lost in a corn maze, take a ride on the zip line and travel by hayride to the field to pick a pumpkin. With the addition of these agri-tourism events, the SBDC helped Bob more effectively market the farm and what it can offer to consumers. His advisers have also assisted him with business planning, financial analysis, and cash flow. The Crouse family sells its produce crops from a farm stand onsite at 5791 Lower River Road in Grants Pass. They also sell their produce at the Growers Market in Grants Pass and Medford.